One 75 year old grandmother has been told that she is no longer needed as a volunteer for a charity – all because she isn’t comfortable using a computer. 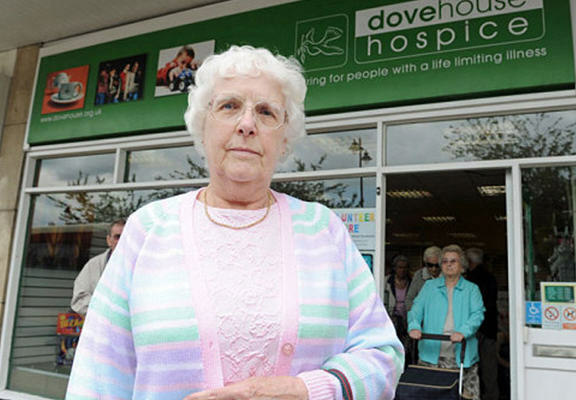 Jane Brooks was told she was no longer required at Dove House Hospice, Hull, East Yorks, by the HR department, and has spoken about her dismay at the news. I told them I was wiling and able to do anything else, such as washing items when they come into the shop and hanging them on the rails, which I already did. But I’m not comfortable about using technology. I don’t even own a mobile phone. The next thing I knew I received a letter through my door. She had been volunteering in charity shops since the 1980s and was initially told to have a ‘break’ from volunteering, before being told that was no longer an option – with three other women who spoke up for her also told they were no longer needed.